This year, on Remembrance Sunday, we celebrate 100 years since the end of World War One. 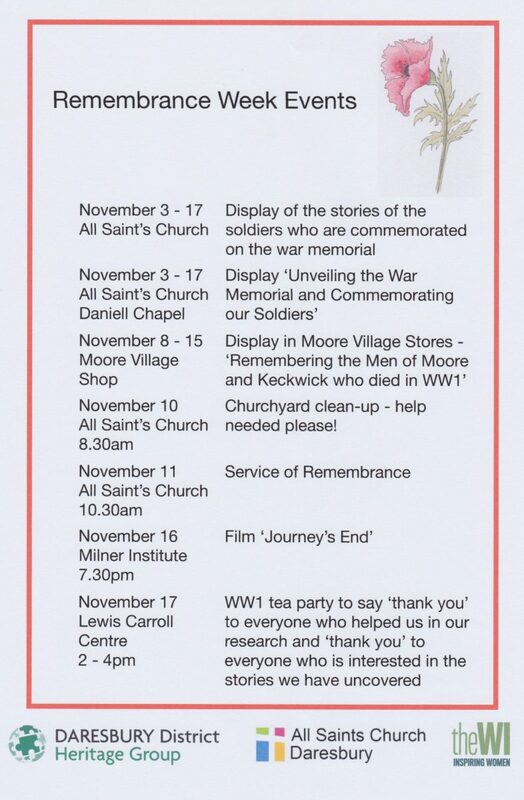 Our display will focus on the 16 men who lost their lives and whose names appear on the war memorial in All Saints’ churchyard. Not only do we commemorate their lives, but those of all the men from the parish who fought and died during the war, their families and the villages they left behind. These 16 men are the reason for the existence of our group. We came together to find a way of celebrating their lives, but our research has extended way beyond this and now we seek to discover the history of the parish over the past 1000 years.